Contact our London, Heathrow Depot for all your Courier needs. 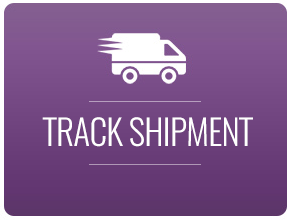 UPGRADE YOUR SHIPMENT: International TIME SENSITIVE delivery options available – worldwide! Select your timed service when booking online, or call us now. Fastest Transit Times Across the Globe! Call now for a quote, or upgrade your shipment by selecting the Timed Service option when booking online. As of 8th April 2019, ULEZ – Ultra Low Emissions Zone will come into effect in central London. ICR vehicles are compliant, however same-day van deliveries will be subject to a £3 supplement (same-day van delivery only) to cover self-employed or agent costs, who’s vans are utilised to ensure urgent delivery deadlines are met. UK overnight and international delivery services are not affected. Same-day bike delivery is also not affected. ICR does NOT charge a Congestion Zone Charge and continues to absorb these costs. But we’re also here to take some weight off your shoulders. delivery service is designed to take away all the pressure. Then you can sit back and carry on with the rest of your day.